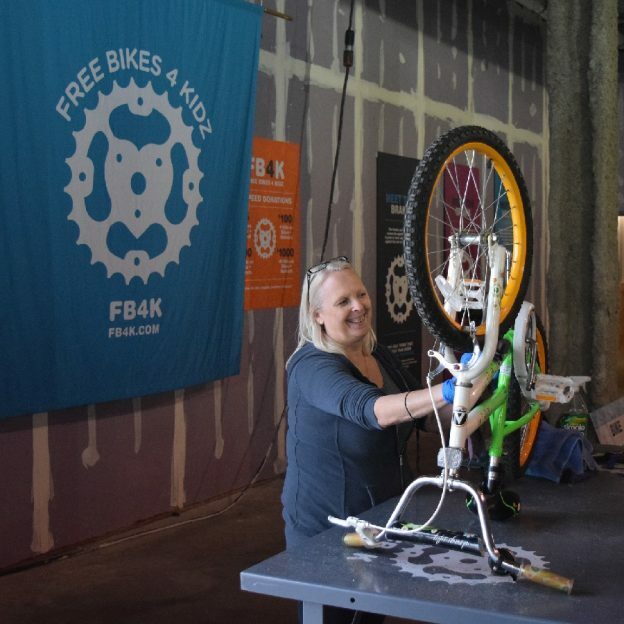 In the Twin Cities, help the the Free Bikes 4 Kidz (FB4K) program. 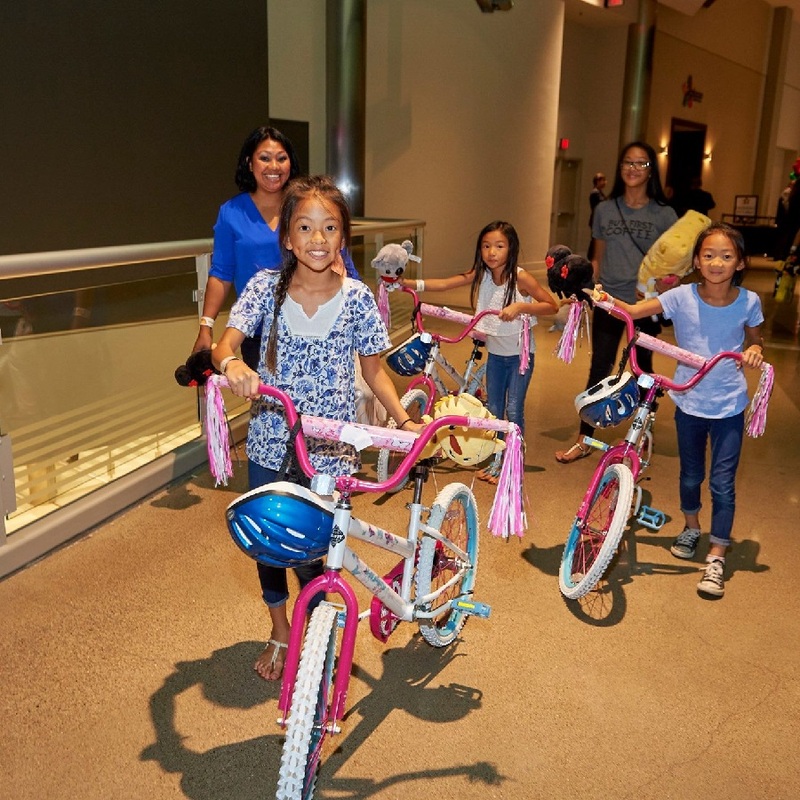 Put more smiles on children’s faces by volunteering to clean, prep, or wrench some of the 5,000 plus bicycles collected this year. All bicycles collected are being stored and repaired at their warehouse in New Hope, MN. 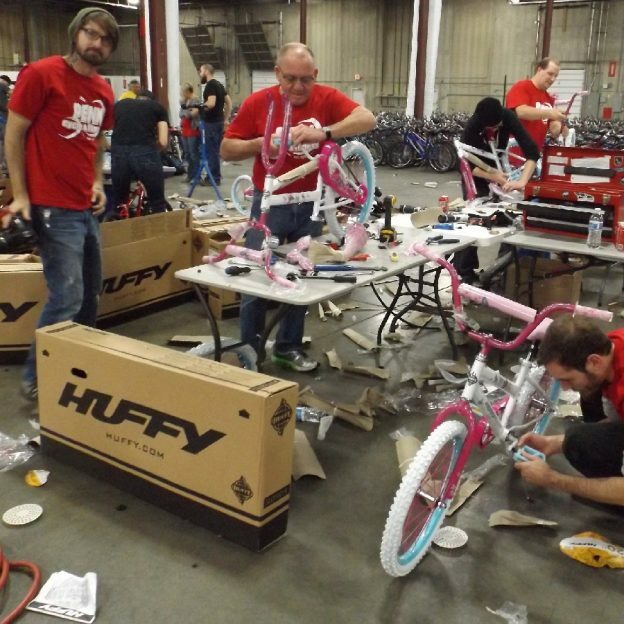 With the distribution starting on Saturday, December 8th, your help is needed make sure these bikes are ready. FB4K helps kid’s smile with their annual Bike Collection Day, in October 8th. Now through Friday, December 8th – 7 days a week – several daily shifts will be available to volunteer at. If you have extra time, please use the FB4K’s registration system to sign up for a shift you are willing to help out at. They need volunteers of all skill levels to clean and fix bicycles, no experience necessary! Their New Hope location will serve as the FB4K bike warehouse, prep and distribution center this year. This warehouse is where volunteers will clean, refurbish, and give a final quality control check to each bike donated. Volunteer on your own or line up a large group. FB4K will be open seven days a week to fit your schedule. Questions? You can email their Volunteer Coordinator, Catherine@fb4k.org. she can help schedule you and your group. 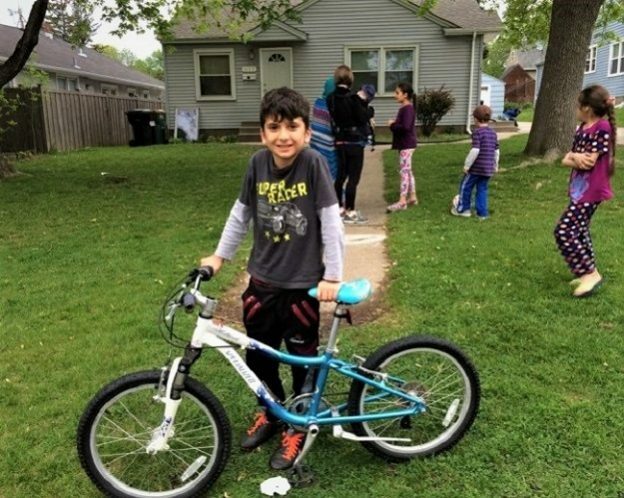 FB4K helps kid’s smile with season Bike Collection Day, in October around the Twin Cities. 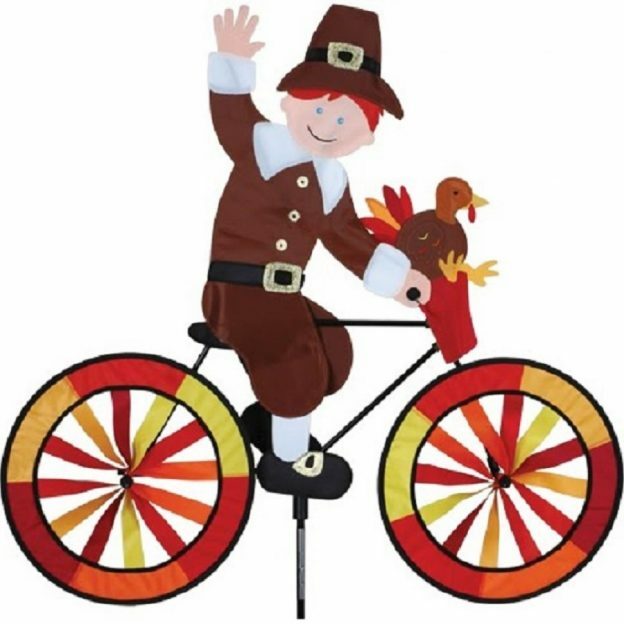 FB4K is a non-profit organization geared toward helping all kids ride lead a happier lifestyle. 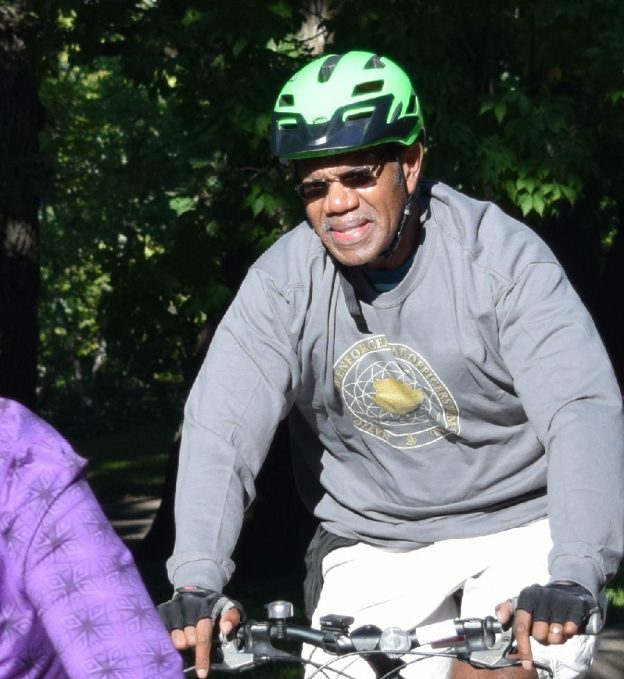 To this date, over 37,000 lives have been changed with this bike program. The public donates gently used bicycles. Then, they organize thousands of volunteers to clean and refurbish them before they are given away to kids in need. So really, FB4K helps kids smile! In 2008 they gave away 300 bikes. Last year it was 5,500 bikes and what about this year? Again over 5,500 bikes were collected. In the last eight years there have been over 35,000 bikes that have rolled through their giveaways. What does FB4K have to say about that? They claim they are not done yet. Their future sights are set on other locations throughout the U.S. and the world. 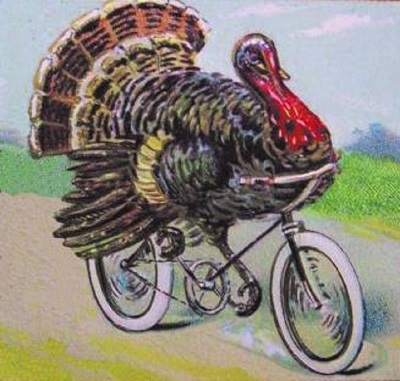 Every year 25 million bikes are sold in the U.S. with one-third of those bikes are 20” wheel-size or smaller. Since kids grow like weeds. Because of this, over 8 million bikes are virtually outgrown each year, giving them an endless supply, while making our environment more sustainable. Though the generosity of key partners like Allina Health, QBP, Penn Cycle, Park Tool, and Nice Ride MN, FB4K has gone far. However, they still need your support in building the foundation and to help every kid ride into a more memorable childhood. Why volunteer, why not? So do your part making kids smile, volunteer today at: http://fb4k.org/. 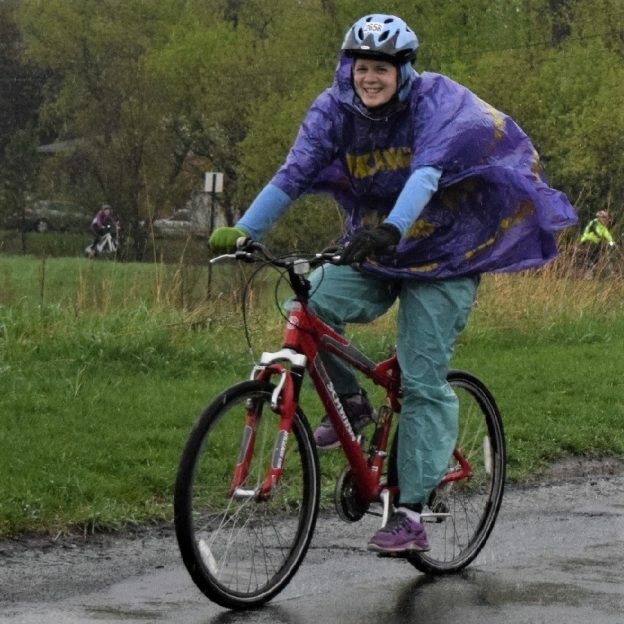 This entry was posted in News and tagged Allina, Allina Health, Allina Health program, Bike collection Day, Bike donations, biking, FB4K, Free Bikes for Kids, kids on bikes, make a difference, nice ride mn, Park Tool, Penn Cycle on November 12, 2017 by Jess Leong. You’re all bundled up against the winter chill, and everything seems to be going well. Then suddenly something feels off. You look down and find you’re riding on a flat bike tire. It’s the last thing you want to deal with in the cold, but you always need to be prepared for it. Why Are There Flats That Happen in Winter? Punctures – Any time an object passes through the tread of the tire, it is considered a puncture. Usually the hole left in the tire is small enough where you can just replace the tube. Slashes – This is when an object cuts the sidewall of the tire. Usually, if a tire is slashed it needs to be repaired or booted (a temporary patch on the tire itself) before a new inner tube can be installed. Air pressure – Air pressure in your tire gets lower as the temperature drops. 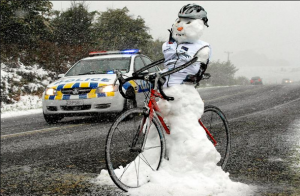 This means that a tire inflated at room temperature will have a much lower pressure when ridden near freezing. Lower pressures increase the possibility of pinch flats. Hidden sharps – Running over sharp objects such as glass, nails, or metal that is hidden in the snow. Snow can buffer some of these objects from getting to your tires, but it can also hide these materials. Tire flexibility – As the temperature drops, the rubber in tires typically become stiffer. A tire is built to deform over objects and absorb the impact. But when the rubber becomes stiff, the tire cannot deform as easily. This can make the tire easier to puncture. Many tire companies produce puncture resistant tires. Typically these tires will have a thicker rubber tread or use a belt under the tread designed to stop sharp objects. They also incorporate a reinforced sidewall to resist against slashes. Puncture resistance does come at a cost both financially and in the form of ride quality. Many riders will purchase these tires specifically for winter use and switch back to something lighter and better riding in the spring. Another option is to use studded tires. Studded tires are usually built out to be puncture resistant as well as being the only option for traction on ice. First and foremost, you need to know how to change a bike flat. If you don’t know how to change a tire in the best of conditions, you probably won’t be able to do it out in the cold. Before taking the bike for a spin, take a few minutes to refresh your memory on how to change a flat if it ever happens to you. Also, check out our article for six items to have along for your ride. These items are great to keep with you year-round. 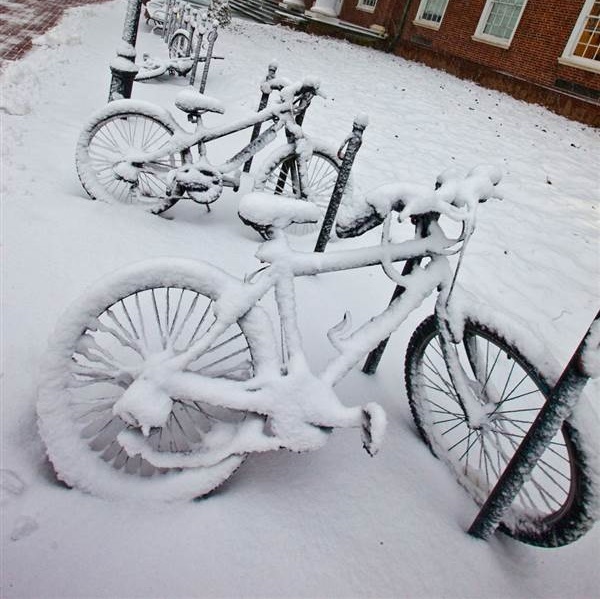 Working on your bike in the winter is a game of time – the longer it takes, the colder you get. With this in mind, pack tools and products that help you move quickly. A dedicated tire lever (rather than one that is part of a multitool or patch kit) offers a better grip and more leverage. 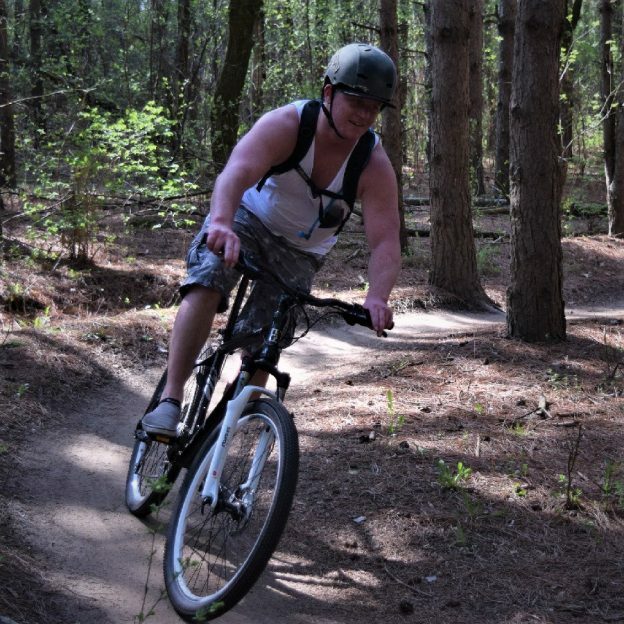 A CO2 inflator will get you up to pressure and back riding in seconds while a pump could take minutes. Carrying a 4″ section of old tire with the beads cut off (a bead is the thick rubber portion of the tire that makes contact with the rim) can act as a quick tire boot in case you slash the tire. Most importantly, check the tire thoroughly for objects before putting the new tube in. Run your fingers on the inside of the tire, feeling for sharp objects, while visually inspecting the outside of the tire a few inches in front of your fingers. This certainly sounds like a tall order! However, if you can, try to find good winter gloves that are able to keep your fingers nice and warm but also allows some dexterity. Numb fingers don’t help when changing a tire and can even hinder your ability to adequately fix your flat. If all else fails, wear warm gloves, and if a flat occurs you can change your riding gloves for another pair that allows for more movement of your fingers. Before heading out, check your bike’s tires. Inspect them carefully to ensure they are still properly inflated. Look to see if they have any nails, glass, or other debris that could puncture the tube. Check the condition of the tire by looking for cracks in the rubber, threads coming free of the sidewall, or tread that is worn. In case all else fails, make sure you have a good pair of walking shoes. Whether you’re already wearing them or they’re in your pack, it’s handy. Sometimes the only option you have is your own two feet. If you’re not too far away or you have to walk back to an area, good shoes are a must so you can walk the rest of the way! If something happens, you want to always have your phone handy. It’s cold out, and you never know when you might need to call for backup or to let a worried friend or family member know why you’re running late. Sadly, flats are inevitable and can happen to anyone, anywhere. Even if you take all the right precautions and get puncture resistant tires, you can still find yourself sitting on the side of the road staring at a deflated tire. Know how to repair a flat, and practice it at least twice. You will find the first time to be daunting, but the second to go quite quickly. Keep aware of your surroundings, know your route, and always be prepared. 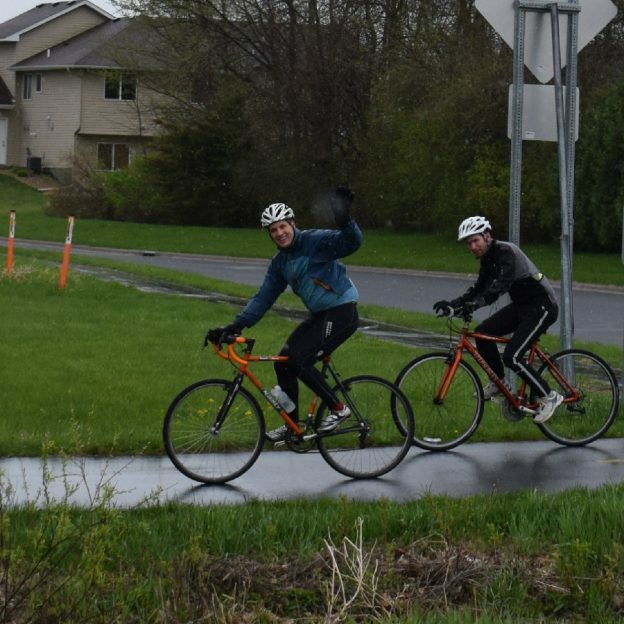 This entry was posted in News and tagged #badluck, #bikemaintenance, #biketire, #nextadventure, #nextbikeadventure, bike flat, bike flat tire, bike tire options, biking, flat tire, outdoors, tire, winter, Winter Biking on January 1, 2017 by Jess Leong.